Sadly it seems the issue of health at sea is something of a controversial issue of late. Despite the Maritime Labour Convention (MLC) making life better for seafarers, the message isn’t always getting through when it comes to the health and wellbeing of those at sea. An army marches on its stomach, said Napoleon – at Crewtoo we know that crews sail on theirs. Meals are vitally important on ships, not just from a nutritional perspective, but also bringing people onboard together. The standard of food onboard is an emotive issue, from the purely nutritional demands to fuel a vessel’s workforce, through to the social benefits and bonds which come through people enjoying their dining. In the 2015 Seafarers Happiness Index report, there were clear indications that good food does indeed equal happier seafarers. Seafarers were concerned about the levels of healthy nutrition they are receiving. A number of respondents stated that the standard of food was poor, and that there was too much fat and salt, with not enough healthy options. The main issues were in three areas, the standard of ingredients, the skill and training of cooks, and difficulties (or unwillingness) to embrace and respond to cultural dietary requirements or preferences. Usually the worst vessels experience all three problems, and this impacts happiness greatly. Good food makes a happy crew – that message came across loudly. Food is only one side of the health equation – there is exercise to consider too. Seafarers do like to work out, access to facilities or time to enjoy them is making difference to seafarer welfare and wellness. Sadly though even with the MLC in place, there are many who do not have the equipment or opportunity. Seafarers called for gym facilities to be improved, and time given to be able to enjoy them. It was stressed that regulations for newbuilds should include the provision of a gymnasium, and that MLC should be stricter in the requirements with regards to sports equipment.MLC states that consideration should be given to sports equipment including exercise equipment, table games and deck games, but there are no real requirements to provide a means of keeping fit – and that is reflected in many of the comments received. Happiness – The shipping industry often talks about seafarers – the realities of life at sea, the fears that we aren’t bringing enough new talent into the industry, and the struggle to keep those we have. For all the talk, there has been very little evidence of how seafarers actually feel about their jobs. So when it comes down to one fundamental issue…are seafarers happy? Happiness in your life, your job, your relationships and career is a vitally important ingredient for any profession and for seafarers these are key issues, just as they are for people ashore. Happy, satisfied, well fed, fit and engaged seafarers are less likely to have accidents, they are less likely to become disaffected and they are the manifestation of the confidence which may be felt elsewhere up the industry chain. At Crewtoo we believe that measuring how happy people are with the various elements of their working life at sea will give the industry a picture of the real successes, problems and guidance as to where improvements are needed. By finding out how happy seafarers are, then we can build a picture of the industry and of where we are winning and losing. Enquiring about someone’s happiness may seem a simple question, but it’s actually quite a complex enquiry, perhaps one of the most profound we face. The results tell us many things about life at sea. 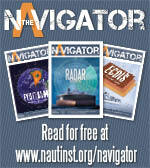 Are we feeding, rewarding, engaging and supporting seafarers effectively? These are issues which can have a major impact on the shipping industry. Happiness is the foundation on which everything is built. Happy people stick around, happy people work well, they embrace challenges, they look to excel and they share with others. 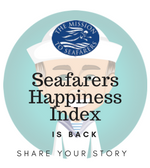 So we launched the Seafarer Happiness Index. Through this, the industry can now gain an even more compelling insight into the issues being faced by shipping, but not just in the offices ashore, but out on the vessels too. The Crewtoo Seafarers Happiness Index allows our growing band of over 112,000 seafarer members to speak out on important matters of seafarer satisfaction on a regular basis. With this reporting structure and link to industry, the lessons can now be identified and applied to ensure that we are looking after seafarers properly and responding to their wants and needs. Since the start of 2015 we have been asking our members how happy they feel with their life at sea…and this is the annual report on these findings, responses and data – and they illustrate what it means to be a seafarer today. The Crewtoo Happiness Index is an important part of the shipping industry’s decision making process. Issues such as isolation, loneliness and a lack of connectivity are striking at the hearts of seafarers and these will need to be managed to ensure that crews remain committed and engaged. The fear of criminalisation and the rising tide of paperwork are also issues which were voiced repeatedly and vociferously.General happiness levels seem to rest on a balancing act between the challenges of work and personal issues. Where pressures of the job build the levels can be managed so long as there is sufficient outlet – whether it be friendships onboard, contact with home, or access to shore leave.Conversely, homesickness, lack of internet access, poor food, lack of exercise, fatigue, stress and lack of camaraderie onboard – are combing to create a negative downward spiral. The cumulative effects were felt to impact heavily, and seafaring was termed a “rollercoaster” of emotions. Hazardous Cargo – Dangerous goods or hazardous goods are solids, liquids, or gases that can harm people, other living organisms, property, or the environment. They are often subject to chemical regulations. In the United States, United Kingdom and sometimes in Canada, dangerous goods are more commonly known as hazardous materials (abbreviated as HAZMAT or hazmat). Obviously such cargoes and materials travel by sea, and whether in bulk form – or inside containers, there are obvious health and safety concerns associated with them. “Handle with care” would be an instruction that perhaps sums up the necessity, rather than the detail. The UN Recommendations on the Transport of Dangerous Goods, forms the basis for most regional, national, and international regulatory schemes. 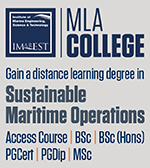 While the International Maritime Organization (IMO) has developed the International Maritime Dangerous Goods Code (IMDG Code) which sits as part of International Convention for the Safety of Life at Sea (SOLAS).Chapter VII of SOLAS “Carriage of dangerous goods” requires the carriage of all kinds of dangerous goods to be in compliance with the International Maritime Dangerous Goods Code (IMDG Code) for transportation of dangerous goods by sea. The development of the IMDG Code dates back to the 1960 SOLAS Conference, which recommended that Governments should adopt a uniform international code for the transport of dangerous goods by sea, covering such matters as packing, container traffic and stowage, with particular reference to the segregation of incompatible substances. So the IMDG Code became the key text dealing with hazardous cargoes at sea. Since 1965, the IMDG Code has undergone many changes, both in appearance and content to keep pace with the ever‑changing needs of industry. For the purposes of the IMDG Code, dangerous goods are classified in different classes, to subdivide a number of these classes and to define and describe characteristics and properties of the substances, material and articles which would fall within each class or division. Substances (including mixtures and solutions) and articles subject to the provisions of the IMDG Code are assigned to one of the classes 1-9 according to the hazard or the most predominant of the hazards they present. Some of these classes are subdivided into divisions. In addition, many of the substances are also deemed as being marine pollutants. The IMO has also developed The HNS Convention (Hazardous and Noxious Substances by Sea Convention), an international convention created in 1996 to compensate for damages caused by spillage of hazardous and noxious substances during maritime transportation. High Seas – In 1958, the United Nations proposed a Convention on the High Seas, often referred to as the “Geneva Convention on the High Seas. In the wake of the Second World War, a conference convened, “to examine the law of the sea, taking account not only of the legal but also of the technical, biological, economic and political aspects of the problem and to embody the results of its work in one or more international conventions”. This they did – but it took until 1982 to bring everything together in one convention – this was the United Nations Convention on the Law of the Sea, also known as UNCLOS. Amongst many other issues, it set about defining what the “high seas” are. UNCLOS says the high seas all parts of the sea that are “not included in the exclusive economic zone, in the territorial sea or in the internal waters of a State, or in the archipelagic waters of an archipelagic State. “These “International waters” have no sovereignty, and so all States have the freedom of: fishing, navigation, overflight, lay cables and pipelines and research. These oceans, seas, and waters outside of national jurisdiction are also referred to as the high seas or, in Latin, mare liberum (meaning free sea). Ships sailing the high seas are generally under the jurisdiction of the flag State, however, when a ship is involved in certain criminal acts, such as piracy, any nation can exercise jurisdiction. Which is why it has been relatively straightforward for international navies to work together to tackle piracy in the Indian Ocean, as the Somalis strayed far from their coast. International waters, or “High Seas” can be contrasted with internal waters, territorial waters and exclusive economic zones. These territorial waters or a territorial sea are coastal waters extending at most 12 nautical miles from the baseline (usually the mean low-water mark) of a coastal state. The territorial sea is regarded as the sovereign territory of the state, although foreign ships (both military and civilian) are allowed innocent passage through it; this sovereignty also extends to the airspace over and seabed below. Historically, the concept of territorial waters saw two different concepts developed—one held that the area of jurisdiction should be limited to cannon-shot range, the other that the area should be a much greater belt of uniform width adjacent to the coast. In the late 18th century these concepts saw a compromise that proposed a fixed limit of 3 nautical miles. In 1793 the United States adopted three miles for neutrality purposes, but although many other maritime states during the 19th century came to recognise the same limit, it never won universal acceptance – and now 12 miles is considered the limit of territorial waters. Working from the baseline, moving back towards the land mass there are internal waters. While moving outwards, there is the State’s territorial sea extends up to 12 nautical miles (22.2 km; 13.8 mi) from its baseline. Next there is the “contiguous zone” – a form of buffer area of water extending from the outer edge of the territorial sea to up to 24 nautical miles from the baseline. In the contiguous zone the State can exert limited control for the purpose of preventing or punishing “infringement of its customs, fiscal, immigration or sanitary laws and regulations within its territory or territorial sea”. In essence it means that any perpetrators can be pursuit, with the right of hot pursuit.Beyond that 24 miles comes the “Exclusive economic zone” – the EEZ extends from the outer limit of the territorial sea to a maximum of 200 nautical miles and actually includes the contiguous zone. A coastal nation has control of all economic resources within its exclusive economic zone, including fishing, mining, oil exploration, and any pollution of those resources. However, it cannot stop passage or loitering above, on, or under the surface of the sea that is in compliance with UN Convention.The EEZ is subject to a specific legal regime – and while the State can control the exploring and exploiting, conserving and managing of natural resources, other States can use the waters with the same freedoms of international waters. Hogging – Naval architecture is an engineering discipline dealing with the engineering design process, shipbuilding, maintenance, and operation of marine vessels and structures. Naval architecture involves basic and applied research, design, development, design evaluation and calculations during all stages of the life of a vessel. It also encompasses issues such as hydrostatics and hydrodynamics – the ways in which water affects the vessel.Hydrostatics concerns the conditions to which the vessel is subjected to while at rest in water and its ability to remain afloat. This involves computing buoyancy, (displacement) and trim (the measure of the longitudinal inclination of the vessel) and stability (the ability of a vessel to restore itself to an upright position after being inclined by wind, sea, or loading conditions). Hydrodynamics concerns the flow of water around the ship’s hull, bow, and stern, and over bodies such as propeller blades or rudder, or through thruster tunnels. Resistance – resistance towards motion in water primarily caused due to flow of water around the hull. The structural aspects are also key, and naval architecture also involves selection of material of construction, structural analysis of strength of the vessel, vibration of the structural components and structural responses of the vessel during motions in seaway. This in turn affects the construction, which depends on the material used. An important aspect of naval architecture is the stress that a vessel experiences, and two key elements of this are “hogging” and “sagging”. They describe the shape of a beam or similar long object when loading is applied. Hogging is the stress a ship’s hull or keel experiences that causes the centre or the keel to bend upward. While sagging is the stress a ship’s hull or keel is placed under when a wave is the same length as the ship and the ship is in the trough of two waves. This causes the middle of the ship to bend down slightly, and depending of the level of bend, may cause the hull to snap or crack. Sagging or dynamic hogging may have been what sank the Prestige off Spain on 19 November 2002. During loading and discharging cargo, shipsbend (hog or sag) due to the distribution of the weights in the various holds and tanks on board. This can be especially significant when loading heavy cargoes such as iron ore, and careful consideration must be given to which holds are filled in which order. Hold – As boat and ship designs have evolved over millennia, they have undergone all kinds of evolutions and developments. So too have the spaces they use to carry cargo. It used to be that each vessel would simply carry whatever came their way. There was no form of specialisation in most vessels – it wasn’t until the tea clippers that ship designs came to recognise the need that different cargoes require different spaces to contain them.This was a time when liquids came in barrels and everything else came in bags, bales or boxes. The holds of ships simply took what they could and there was little or no consideration for the subtleties of what should go where. Slowly though the holds of ships began to change too – and for each type of cargo they would be built to maximise space and the requirements of not damaging the goods. A bulk carrier’s design is largely defined by the cargo it will carry. Bulk cargo can be very dense, corrosive, or abrasive. This can present safety problems: cargo shifting, spontaneous combustion, and cargo saturation can threaten a ship. The use of ships that are old and have corrosion problems has been linked to a spate of bulker sinkings in the 1990s, as have the bulker’s large hatchways, important for efficient cargo handling.The holds are big, wide and open up to the large hatchways. The holds follow the general shape and form of the vessel- they often have ballast tanks which sit above and below. Wet bulk – this is where the “holds” take on a completely different form – these are considered as “tanks” – hence the name. The tanks have giant suction pumps which can discharge through a manifold into pipes to the shore. The pioneers of the development of early oil tankers first experimented with carrying oil in bulk on single-hulled barges – and these were almost nothing more than floating tanks. The designs improved and refined over centuries.Having tanks full of oil or chemicals is obviously dangerous, if not handled correctly. So there are important safety controls and systems built in – purging the tanks of gas is a very important step. Hull – The hull is the watertight body of a ship or boat. Above the hull is the superstructure and/or accommodation. The line where the hull meets the water surface is called the waterline. The structure of the hull varies depending on the vessel type – but there are often similarities between them all. They have a task – to keep water out and to push it out of the way. Depending whether the vessel needs to be fast or powerful, or whether it has to push through ice, then all these affect the design of the hull. 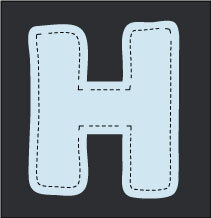 This design element can be described as being the “hull form”. In a typical modern steel ship, the structure consists of watertight and non-tight decks, major transverse and longitudinal members called bulkheads, girders, stringers and webs, and frames. The uppermost continuous deck may be called the “upper deck”, “weather deck”, “main deck”, or simply “deck”. Historically the hulls wooden sailboat, were constructed of wooden planking, supported by transverse frames (often referred to as ribs) and bulkheads, which are further tied together by longitudinal stringers or ceiling. This traditional approach has long actually been mirrored in the basics of all ship building. Just with steel plates on frames, as opposed to planks of wood. Perhaps one of the biggest innovations in hull design was the addition of the “bulbous bow” – this is a protruding bulb at the bow (or front) of a ship just below the waterline. The bulb modifies the way the water flows around the hull, reducing drag and thus increasing speed, range, fuel efficiency, and stability.